Remember when your parents used to tell you to share? Share your toys with your friends. Share the remote with your brother. Share your clothes with your sister. Share, share, share…. I remember being asked to share a lot with those around me, and it must have stuck because I opened an underground dress library in college. That sounds way cooler than it was, but basically just boiled down to me having A LOT of dresses. This post was sponsored by Bunz. All thoughts and opinions are my own. For more information, please see my disclosure policy. Like a lot. Over 200. I got into this bad habit of picking up dresses when they were on sale because at the time I was dating someone with a high profile job. We’d go to a lot of semi-formal and formal dinners, events, banquets, galas, etc. etc. etc. And, I thought you had to have a new dress for every occasion. But, I would always pick up out of season dresses very cheap, typically on the final sale rack. Often these dresses were damaged or stained in some way, but since I majored in theatre, I had access to the costume department where I could alter, stitch, and fix most problems the dresses had. I was in a sorority AND part of the music department. Sororities and music departments also have a lot of semi-formal events. So, instead of hoarding all of my dresses, I opened up a dress library. People could come to my dorm room and check out dresses for their performing arts class (a once a week class that’s like a cabaret where you sing once a semester and attend to listen to your fellow music students), parties, banquets, you name it. I was basically the original Rent the Runway, except free and all you had to do was clean the dress before you brought it back. This is a prime example of the sharing economy. It’s based in community, connection, and sharing resources. So, instead of running out and buying anything NEW every time you need something, you borrow it from a friend or now, thanks to technology, a stranger. how does this relate to the environment? I’m so glad you asked! We have talked a lot about buying less, waiting 30 days before making a purchase, and making sure you only bring something truly valuable into your home. But, we haven’t talked a lot about sharing. The secondhand market and sharing are closely intertwined for me because both of them focus on using resources that are already in the waste stream. We currently live in a linear economy which means we take resources from the planet, turn them into products, and then once we’re done with them we dump them into a giant hole in the ground where they’ll live forever. Doesn’t make much sense right? Living a zero waste lifestyle is about moving to a circular economy where our resources can be used over and over and over again. To learn more about the circular economy check out the post ﻿What is Zero Waste? What is the Circular Economy? While most of the circular economy hinges on design and corporate responsibility, there are still ways we can perpetuate that in our day to day lives like sharing and shopping secondhand. Sharing, swapping, and giving just got a whole lot easier with Bunz. Bunz has found a way to streamline and ORGANIZE your local buy nothing group. It’s a platform designed to trade and swap so you can search for the item you’re looking for and set a proximity range! The Bunz app is totally free. Meaning it doesn’t cost to download, but also there’s no money exchanged in the trades. I’ve heard of several people swapping out things they don’t need like a pair of boots for a case or beer. Now, that sounds like my kind of trade. What happens if you have something to give, but don’t need anything in return? Or maybe you need an item, but they’re not interested in what you have to trade? To combat that situation Bunz created a digital currency called BTZ (pronounced bits) which can be traded in for things or can be used at cafes and stores. If you’re in Toronto, which is Bunz central station, you have a ton of options like bars, coffee shops, tattoo parlors, restaurants, nail salons, the list goes on. Thankfully, Bunz is expanding cause this sounds awesome. The app can be used anywhere so you can declutter those items that don’t spark joy, and hopefully, trade it for a few things that DO SPARK JOY! If this sounds totally up your alley, you can download the Bunz app and get your friends, family, and neighbors to join. This, of course, will help expand the pool of who you trade with, but will hopefully encourage others to adopt a new sustainable hobby in their life. Tell your friends and fam! Talk to your local zero waste group about it and ask them to share it with their friends. 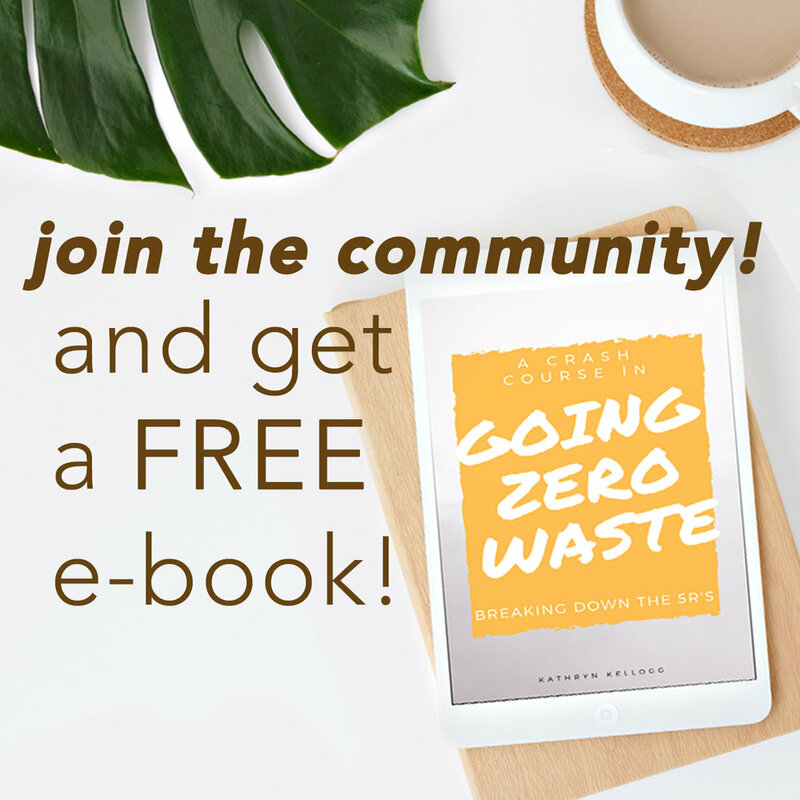 Check out my blog post on Finding a Local Zero Waste Group. If you’re a member of a buy nothing group, share the app with them which will help organize they group way better than on Facebook. Do you have a neighborhood app like NextDoor? If so, create a post sharing the app. Don’t forget to be a trailblazer and list a few cool things for trade in your area to get everyone started! I’m most excited to use this app to trade figs and apples from my trees in the backyard. I would love to swap a whole bunch of fresh figs for wine or tea! A library is probably the first interaction we ever had with the sharing economy. You check out books, read them, and then bring them back. To join costs absolutely nothing, and you only get penalized for not holding up your end of the bargain AKA bringing them back on time. Now, there are all sorts of libraries starting to pop up like toy libraries, tool libraries, library of things, and even underground dress libraries. So, you can check out tools for weekend home reno project, toys for your kids, or check out camping gear for your upcoming trip. This is SO smart, because most of these things we don’t need to own, we can just borrow them for a short period. Unfortunately, the underground dress library is closed. Another eco-friendly program in the sharing economy is bike sharing! Maybe you’ve seen a row of bikes parked in your downtown area? Those bikes are available for anyone to ride for a short time. The programs can be free or involve a small fee, but you can take the bike from its dock and then ride it to another dock and drop it off. Some systems are dockless, or what I like to call free-range bikes. You can take them for a ride, and then drop them off anywhere. Technology really is making sharing cool. While I’m sure you could offer up your food scraps and compost bin on Bunz , there’s also an app specifically designed for taking and accepting food waste. 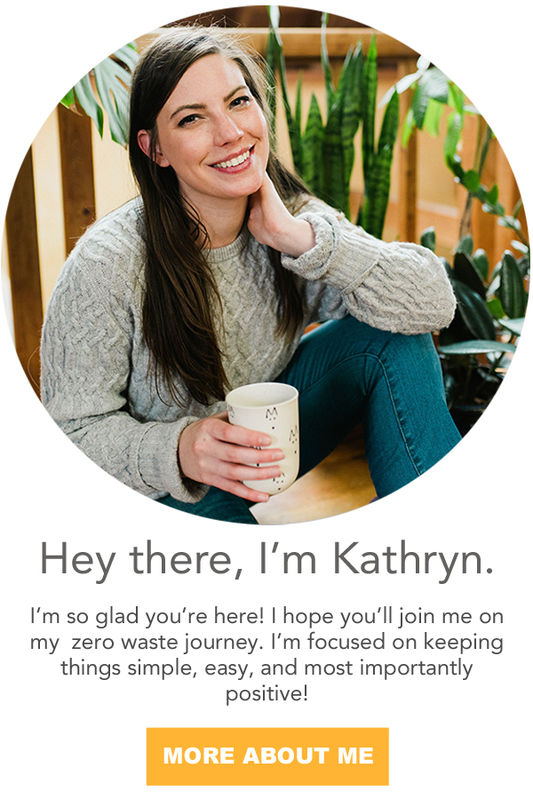 If you’re in an apartment and struggling to compost check out my blog post Composting in Apartments and check out ShareWaste. This one is a little out of the box, but stay with me… instead of sharing things, it’s sharing knowledge. I love learning. I think that’s pretty obvious thanks to lots of well-researched posts on this blog. But if you love learning, and would like to take a class or two to keep your brain sharp, but don’t want to go back to school - check out edX. You can audit free courses from universities like Harvard, Brown, Princeton, Berkeley, Berklee and more. Most of the classes are free, and I just signed up to take one on the circular economy! I hope you enjoyed this blog post and will jump into the sharing economy. This was just the tip of the iceberg. There are so many ways to start sharing with your community, which is honestly one of the most radical things you can do in today’s society. Did you know loneliness is the second biggest killer in the world? The first is air pollution. You can help tackle both by getting in on the sharing economy because you’re creating connection and reducing the overall amount of resources you consume! Don’t forget to download the Bunz App , and I would love to know if you’ve ever used it! ESP if you’re from Toronto, I would love to know the coolest thing you’ve traded your BTZ in for?